We thank you for the donation. In appreciation for the donation, we will post a thank-you note in our webpage. In appreciation for the donation, we will post a thank-you note in our webpage and twitter. Personalised sticker and a note of gratitude in our social networks and webpage. Personalised sticker and a t-shirt and a note of gratitude in our social networks and webpage. Personalised poster, sticker and a t-shirt, and a note of gratitude in our social networks and webpage. Guided tour in our laboratory. 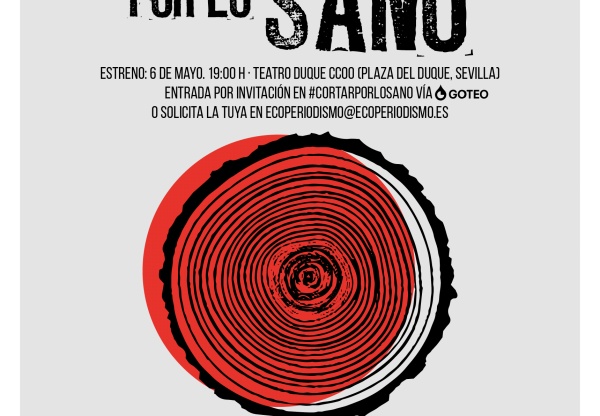 In addition, personalised poster, sticker and a t-shirt, and a note of gratitude in our social networks and webpage. Special mention of gratitude in our social networks and webpage. In addition: personalised poster, sticker and a t-shirt. Appearance in our posters and our events. Special mention of gratitude in our social networks and webpage. In addition: personalised poster, sticker and a t-shirt. Image of our team. Appearance in our posters and our events, present and future. Special mention of gratitude in our social networks and webpage. In addition: personalised poster, sticker and a t-shirt. We aim to design an optimized bacteria able to capture fatty acids in order to fight metastasis. Reagents, cultures and bacteria needed to develop the project. Techniques needed for the experimental part of the project and use of specialized machinery. Carrying out educative activities and workshops. Development of more experiments in order to optimise the metabolic pathway of our genetically modified bacteria and to create a stable system in human gut. Design and building of laboratory machinery, such as an electroporator and/or transilluminator. Contribution to the payment of iGEM competition registering where we will present our project. 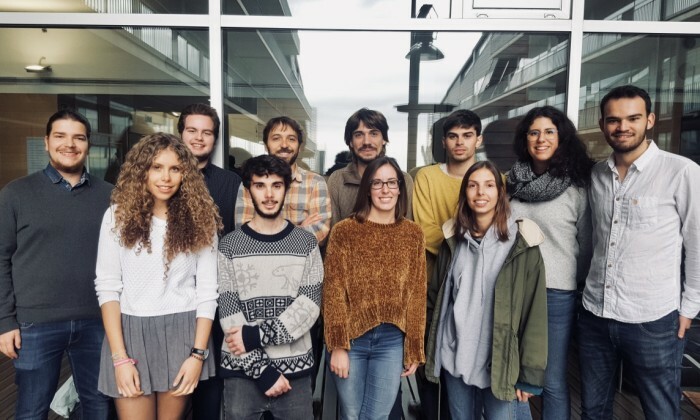 We are a multidisciplinary student team formed by Human Biology students, Biomedical Engineering students and Telecommunications Engineering students from Universitat Pompeu Fabra and Universitat Politècnica de Catalunya. We are working in a project based on the recent discovery that explains the relation between why a cancer would start a metastasis and the fatty acids. 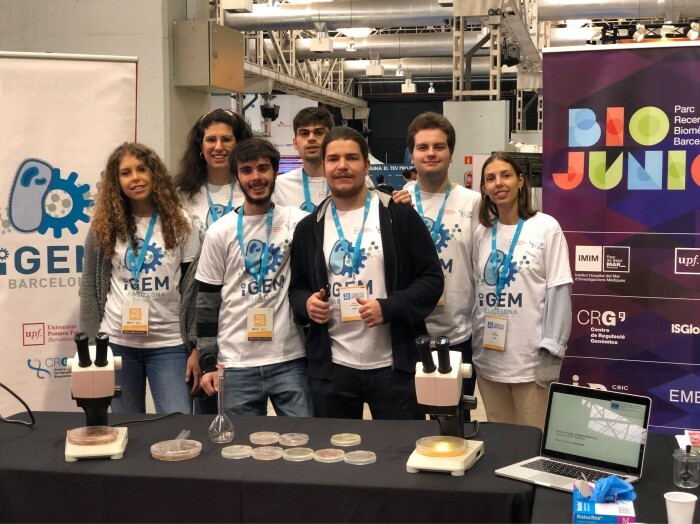 Our project is included in a competition called iGEM, which is an anual synthetic biology competition with the best students and universities from all over the world. Each one of the teams will work to solve actual problems with the help of genetic engineered organisms plus the respective obtention of the budget to make the project possible. Finally, our team will present the work done in the Giant Jamboree held in Boston this October 2018. Metastasis takes place then a cancer is spread from the original and localized tumor to other parts of the body. Nowadays, having metastasis under control is a challenge and it is the cause of 90% of cancer deaths. On the other side, palmitic acid is one of the main ingredients of processed food. It has not only a role on metabolic and cardiovascular diseases but also has a possible implication in cancer as it has recently being described. Palmitic acid seems to be the power engine of the triggering of metastasis. CD36 cellular receptor is involved in the progression of the metastasis as it internalizes acid palimitic. The overexpression of this receptor increases the absorption of palmitic acids, and by this it enhances the survival of tumoral cells and starts promoting metastasis in a dependent manner. The goal of our project is to design a genetically modified bacteria able to have an increased fatty acid absorption. A part of our project consists in expressing CD36 receptor in bacteria. By this, acid palimitic concentration in the gut lumen will decrease and consequently the gut absorption, limiting the presence in our body. Finally, our objective is to produce a series of experiments where we will perform several metabolic aproximations except from CD36 expression, to achieve an optimized bacteria with an increased uptake of fatty acids. This system could be used in a future as a probiotic, which in combination with immunotherapy would help in the removal of metastatic cells. 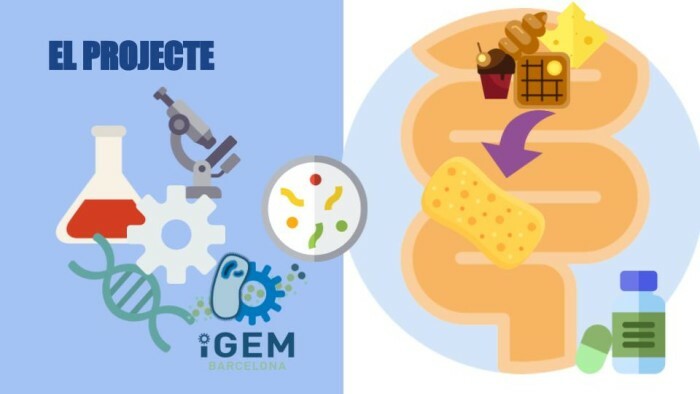 Our project has the main goal to design a genetically modified bacteria with an optimised long-chain fatty acid (such as palmitic acid) metabolism, in which the uptake of this fatty acids will be as eficient as possible. This bacteria would be used as a system capable of competing in fatty acid absorption in the gut. This would reduce the absorption of our body and by this, reducing the fatty acid levels in our bloodstream. This system would be the "proof of concept" that would serve as the first idea to create a probiotic addressed to cancer patients as a complementary and preventive treatment against metastasis. Simultaneously, one part of the project will consist of performing scientific divulgation, specially in the are of synthetic biology, for the general public. On the other side, we will realize activities for children and young people in order to teach them sciences topics in a funny and educative way. The aim of this activities will be encouraging new generations and awake interest for science, as well as inspire them to develop their own projects. This project will be entirely developed by undergraduate students. For this reason, one of the objectives will be to acquire an advanced knowledge of synthetic biology in order to obtain the abilities needed to lead prestigious research projects in a future. Our main goal is to succesfully develope our project and in this way, be able to present significative results in the Jamboree. 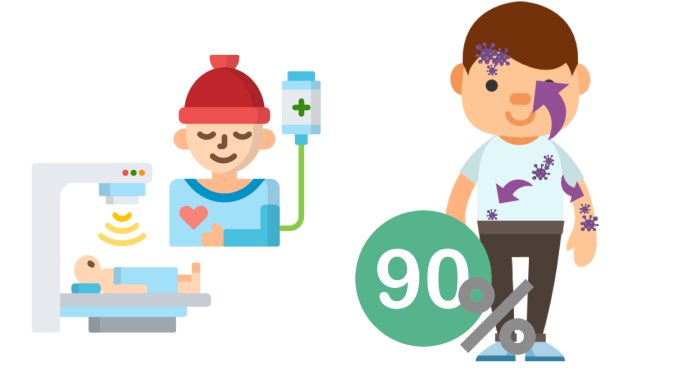 Apart from the iGEM competition, we aim to contribute on research and enhance population wellbeing at large. The main motivation for our project is to solve medical problems that currently have a large impact on the population such as cancer and metastasis. In this way, the potential beneficiary of our project is the large-scale population in the future, hence it will provide a possible treatment for metastasis that in the long run means a better welfare for the population. Moreover, one of the additional impulses that has led us to carry this project is the scientific divulgation to the general public, especially young people interested. Our project addressed to those people who once diagnosed with cancer and as a complementary treament, could be taking this probiotic to reduce the risk of depeloping metastasis. Carla Castignani: Human Biology, UPF. Dimitrije Ivancic: Human Biology, UPF. Jordi Pla: Biomedical Engineering, UPF. Oscar Rodríguez: Biomedical Engineering, UPF. Laura Sans: Human Biology, UPF. Marta Vilademunt: Human Biology, UPF. Arnau Sadurní: Telecommunications Engineering, UPF. Oriol Solà: Human Biology, UPF. Marc Güell: Principal Investigator of Translational Synthetic Biology group in the DCEXS department of UPF. Sergio Aranda: Postgraduate researcher in Epigenetic Events in Cancer group of Centre for Genomic Regulation. Eva González: PhD student at DCEXS department of UPF. Our team was born in September 2017. During this time, we have achieved funding from Universitat Pompeu Fabra (DCEXS-UPF and DTIC-UPF) and also by Centre for Genomic Regulation (CRG). Although we are students, we have previous experience in laboratories and research groups where we have been able to consolidate and put into practice our scientific and technological knowledge related to synthetic biology. We have also participated in the YoMo (Youth Mobile Festival), a congress of science, technology and mobile for young people held in Barcelona this February 2018. In addition, we plan to take part in various scientific divulgation activities along 2018. Our project could be used in a future to desgin a probiotic, which in combination with immunotherapy could improve metastatic cells removal. In addition, our project development will bring valuable information in research and scientific knowledge.